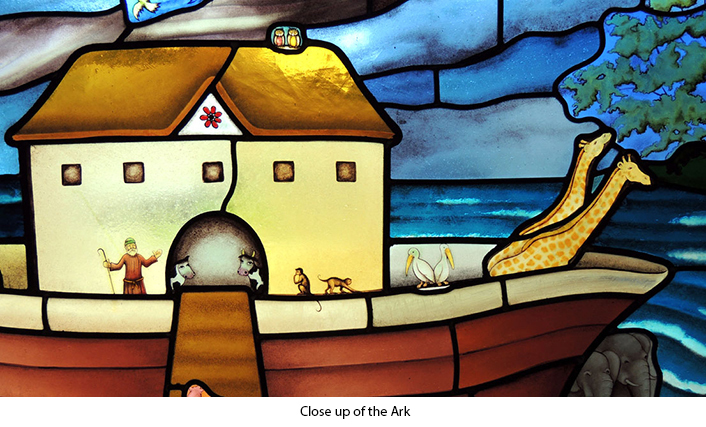 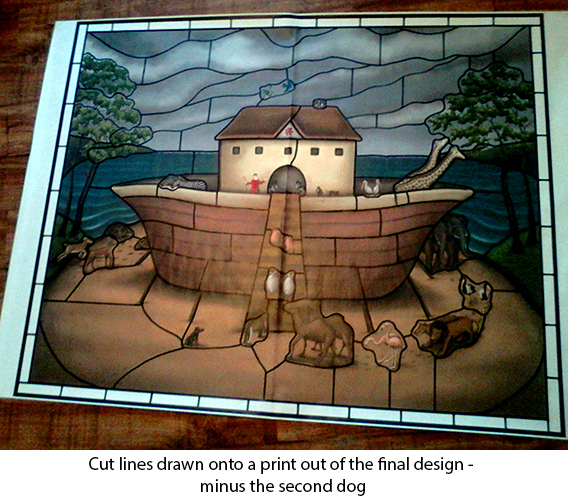 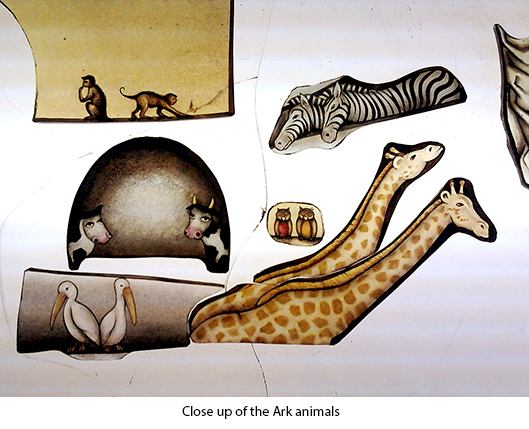 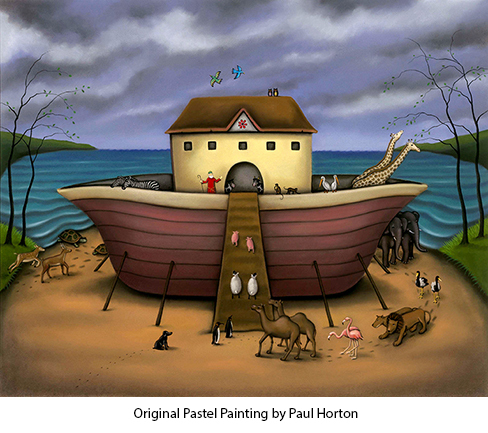 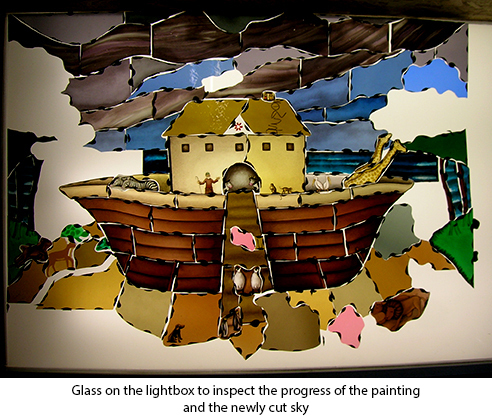 As part of Paul Horton’s exhibition in 2013, he commissioned us to reproduce one of his pastel pieces in stained glass. 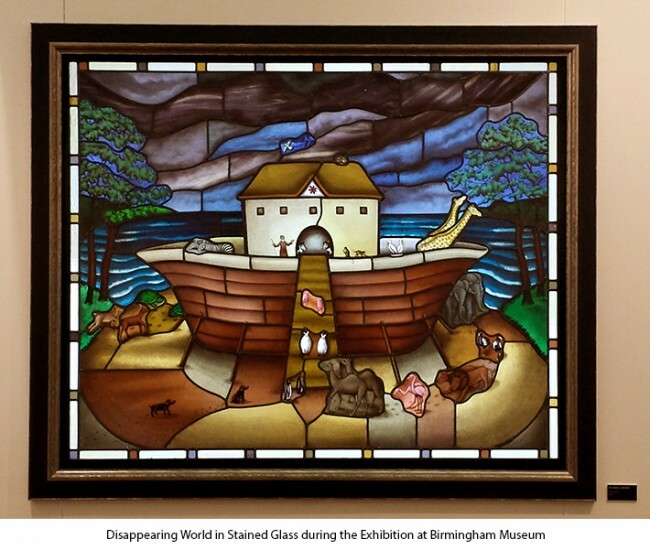 The one he chose was Disappearing World, the first in a series of three which are completely sold out now, and one which helped to propel him into the art world. The finished window is 5ft wide and fitted into a steel frame made to hold the weight of the window and help transporting the window to exhibitions.